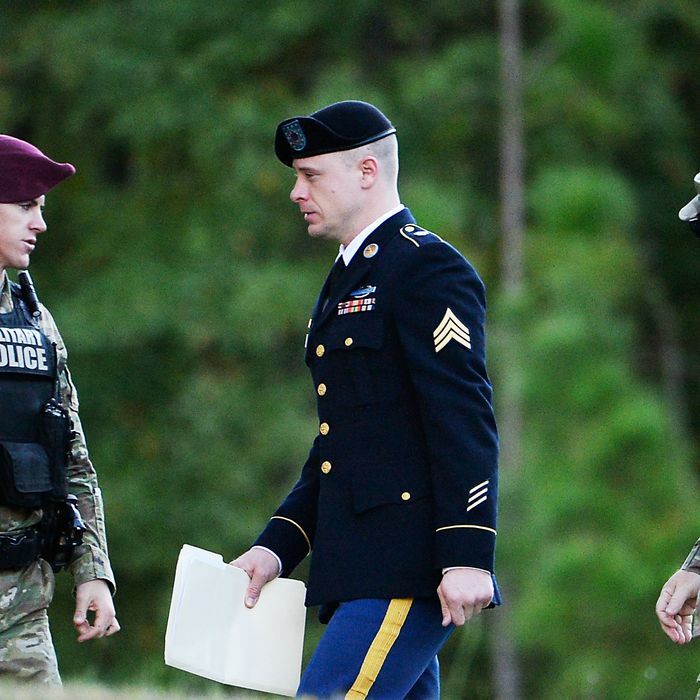 Sergeant Bowe Bergdahl, who pleaded guilty to charges of desertion and misbehavior after walking off his Army post in Afghanistan eight years ago, will be dishonorably discharged but not sent to prison, a judge ruled Friday. Army Colonel Jeffery R. Nance also ruled the Bergdahl’s rank be reduced to private and ordered him to give up $1,000 of his pay each month for the next ten months. The 31-year-old, who was quickly captured by the Taliban after leaving his post and spent five years in captivity, faced up to life in prison. Prosecutors were only asking that he be sentenced to 14 years for endangering his fellow troops, several of whom were seriously injured in the effort to rescue him. The defense sought to have the case dismissed because of Trump’s comments, which it said amounted to unlawful command influence. The judge called the comments “disturbing” but declined to drop the case. Trump, who is on a long flight to Hawaii, tweeted his disapproval of the ruling Friday.